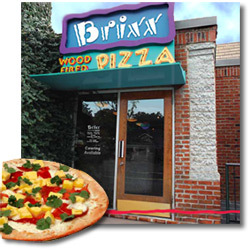 If you are looking for information on the Brixx Wood Fired Pizza franchise business opportunity, Brixx Wood Pizza franchises or Brixx Pizza franchising, then you have come to the right place. There's a good reason why both customers and restaurant entrepreneurs are so fired up about Brixx. Because at Brixx Wood Fired Pizza everybody goes home happy. 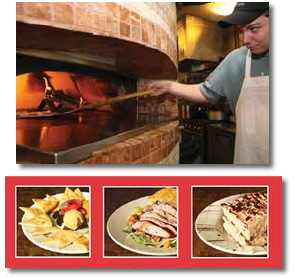 Customers get pizza, pastas, sandwiches and salads with fresher, healthier ingredients and more unique flavors. Owners benefit from a manageable menu, cross-use of ingredients, streamlined operations and a business designed to give them a better lifestyle. We've been delivering what our marketplaces want for nearly a decade. Our brick ovens enhance the natural flavors of our quality ingredients and gives our pizza great wood-fired taste unlike anywhere else. Our sandwiches are delicious on fresh baked focaccia bread, and our salads are made with only the freshest local greens. The world's largest economy is American women, a group of consumers who focus more and more on health and lifestyles. When the kids want pizza, mom wants them to get the freshest, healthiest pizza she can get, not to mention pine nuts and salmon on her own fresh greens salad. Today, Brixx has cemented its concept, capitalizing on its reputation for serving the Carolinas' best wood-fired pizza, plus a selection of signature sandwiches, pastas, salads and desserts. Our menu has been consistently successful in a wide variety of locations, from freestanding stores in historic cityscape neighborhoods and college towns to end-cap units in the Main Street-style retail configurations of the New South's hot new suburban "villages." At Brixx Wood Fired Pizza, we know the heartbeat of any business is loyal customers. So we offer you creative ways to encourage people who try Brixx once to come back time and time again. We also recommend you commit to the kind of community involvement that helps make the Brixx brand memorable. There's no doubt that people support businesses that back the groups and causes closest to their hearts. Win Free Brixx Pizza for a Year! Let the Kids be the Cooks!